I have done quite a bit of travelling and I always have extra copies printed, screenshot, and placed in a separate folder in my USB and Google Drive just to be sure. I was quite pleased to have found an app that makes it easier. It was a Saturday when my friends made a sudden decision to have an overnight stay where we all can be together. 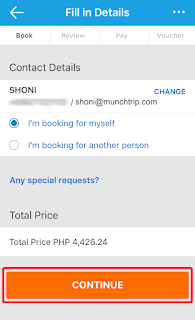 They assigned me the task of booking hotel rooms in Cagayan de Oro because they trusted me as the "travel blogger" of the group. 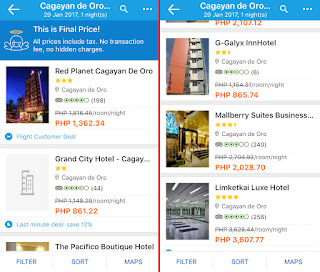 I got on my phone and browsed on my App Traveloka for frequent discounted rooms in Cagayan de Oro. 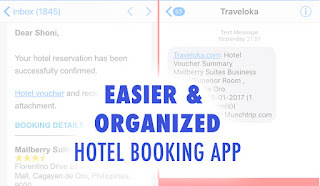 Traveloka is a very impressive phone app that I used in booking hotel rooms because I am a type of travel planner who wants to do everything efficiently. 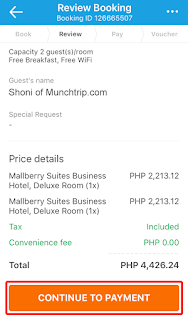 I was able to book two rooms in Malberry Suites Business Hotel among hotels in Cagayan de Oro with ease and less time needed to search for my booking details afterwards. If there was a type of traveller I could categorize myself in, I would say, I am a “perfectionist traveller”. I want everything ready in my travels. Booking hotel rooms should be planned, done, printed, and photographed on my phone. - an easy-to-access “My Booking” button on the bottom. I was a happy travel planner who didn’t need to take extra steps to keeping details of the booking because they were sent to me right away automatically. I also rely heavily on apps on my phone because it is easier to whip out the device in public compared to a tablet or a laptop. 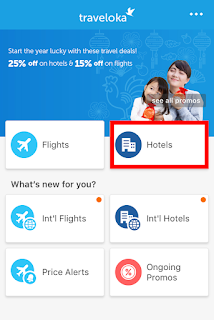 I could look for a hotel on my phone while in a cafe sipping on some coffee, or even when I am in an airport waiting for my flight is so much more convenient. 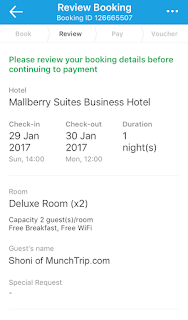 I needed two rooms for 4 persons so to show you how I used the app, here were the steps on which I was able to book the hotel. 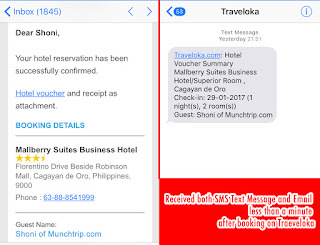 Here is the simple menu of the Traveloka App. All I had to do was click on the “Hotels” button. 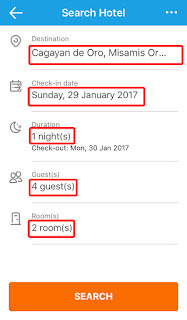 From here, I entered the details needed — Destination, Check-in Date, Duration, Number of Guests, and Number of Rooms — and clicked “Search”. Scrolling down from the list of details then give me hotels in Cagayan de Oro to choose from. 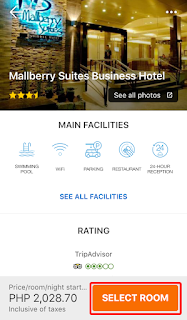 I zeroed in on Malberry Suites Business Hotel. So I clicked on the name of the hotel. 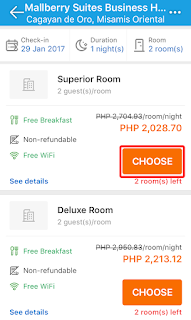 The app brought me to a page where I could see the Main Facilities offered by the hotel while the price value of the room is shown below. I clicked on the orange button, which seemed to conveniently be the uniform color of the buttons in this app. Browsing thru the app is made easier with the easy to understand features offered by the hotel like the Free Breakfast and Free Wifi feature which turn green when available. Choices of the types of rooms are also easy to view by scrolling down from this point. I then click on the orange button of the corresponding room I want to get. From here, there are four steps I have to go thru to confirm and pay for my booking. I simply click “I’m booking for myself” and enter “any special requests” if I preferred a non-smoking room, a room by the window, a room with 3 pillows, or any other particular needs I want to request for. I now was brought to the page where I could review the details and double check the booking details. Scrolling down would bring me to the “Continue to Payment” button. This part is impressive in my opinion as it gives me many options to pay for the booking. Nowadays, when 711 convenient stores are starting to be more common near hotels in Cagayan de Oro, the Over-the-counter option was the most attractive option. I receive a voucher which i needed to pay for the booking.. I get an SMS, an email, and the booking is available to be viewed in the app itself. Booking hotel rooms couldn’t be more convenient. When we went to the hotel to check in, I felt safe knowing that security was visible yet courteous when I entered the building. Front Desk greeted me with a smile when I checked in and answered my every question about available facilities. 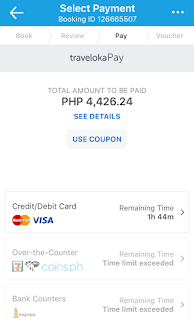 I was disappointed to know that the swimming pool (a feature marked as available in the Traveloka description) was only available if we added payment. But this hotel did not fail me on my need to have 24 hour food establishments nearby. There was a 711, a Yellow Cab pizza place, and McDonald's within walking distance. Thank God! 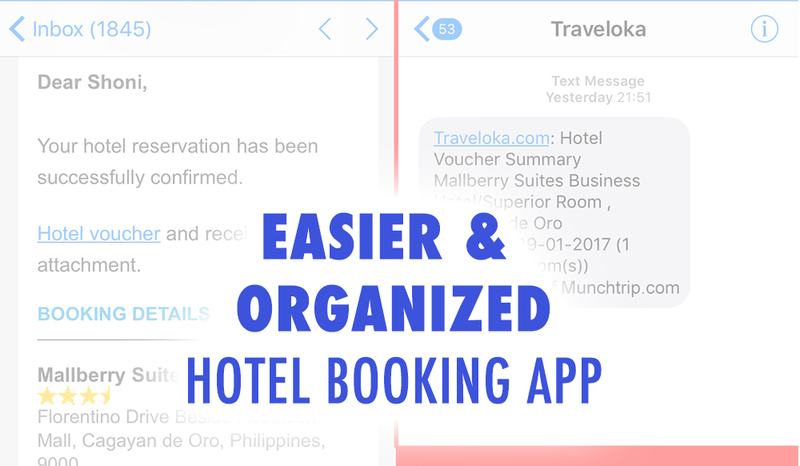 The one-night stay at Mallberry Suites using the hotel booking app Traveloka was a success. I recommend it to all who want to see discounted rates with season promos. It also has promos for when there are holidays. My favourite part about it has to the very thoughtful feature of immediately giving you copies of the booking on your phone, email, and the app itself. Plus, it also helps book flights. Genius Traveloka! If you want to discover Cagayan de Oro, check out my other posts as well. Click here to see Cagayan de Oro food you must try to believe! Catch ya later, fellow munchters! We accept your different types of request such wedding resort, luxury hotel, corporate meeting and birthday event booking with luxury hospitality in Bikaner. You will remember royal and luxury facilities.